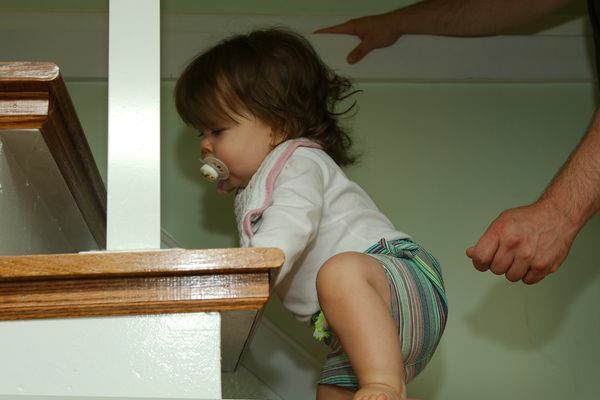 She is very determined to climb the stairs. 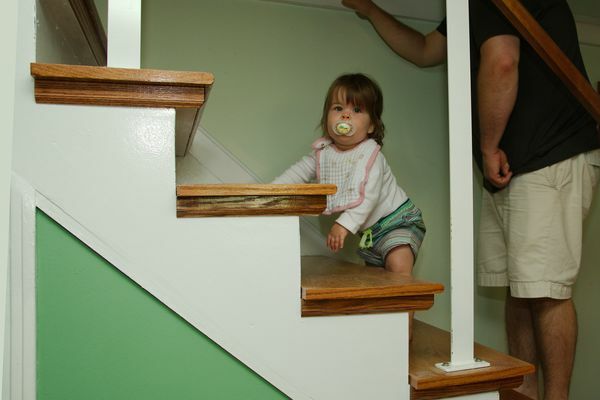 Hope you watch her close - RAILS ON STEPS ARE NOT GOOD- spacing should be 4" or less. Don't want them to fit through. Built rails for years.